High quality self-adhesive magnetic sheet. 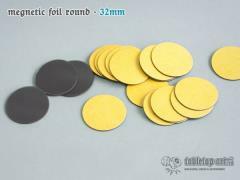 The set includes 25x punched circles in diameter of 32mm. Set contains no iron sheet/ferro film.